John W. Lieb, AIEE President, 1904 - 1905, experimented with the Brush arc light system in the fall of 1877, which led him to work at the Brush Electric Company and later the Edison Electric Company. Lieb also worked in Italy, where he directed the completion of Milan’s first electric trolley line in 1893. John William Lieb was born 12 February 1860, in Newark, New Jersey, the son of John William Lieb, a leather worker, and Christina Zens. He acquired his formal education in the local public school and at the Newark Academy, a private high school, from which he graduated in 1875. Perhaps influenced by his father's interest in chemistry and mechanical technology, Lieb entered the preparatory high school connected with Stevens Institute of Technology in nearby Hoboken, New Jersey, in September 1875. A year later, Lieb became a student in mechanical engineering at Stevens Institute of Tehnology. While at Stevens Institute of Technology Lieb became interested in the newly emerging electrical industry. Among his class assignments he assisted with tests of the Brush arc light system in fall 1877 at the Coney Island pier. In early 1880 he and his classmates also visited Thomas Edison's Menlo Park Laboratory to see the newly invented incandescent electric lighting system. Lieb's practical experience with the Brush arc light led to his joining the Brush Electric Company in Cleveland after graduation. Hired as a draftsman, Lieb was soon being trained as a central station constructor and manager. However, while visiting his family over the Christmas holidays, he met with Edison to ask for a job and in January 1881 began his long association with the Edison electric light interests. Lieb joined the staff of the Edison Electric Light Company at its 65 Fifth Avenue headquarters in New York City. He initially worked as a draftsman in the company's engineering department but was soon transferred to the Edison Machine Works on Goerck Street, where he assisted in the development of generators and other equipment for the Pearl Street central generating station. When this station opened in September 1882, Lieb was placed in charge. Lieb's knowledge of central station technology as well as his facility with French impressed Italian professor Giuseppe Colombo during the latter's visit to the Edison Machine Works to observe tests of dynamos for the central station his Italian Edison Company was building in Milan. As a result, Colombo requested that Lieb be sent to Milan to supervise the installation of the Milan station. He became chief electrician of the plant, which was put into service in March 1883. 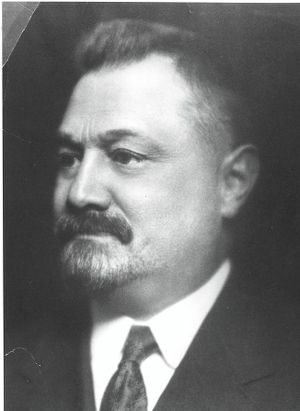 Lieb, who soon became fluent in Italian, was appointed chief electrician of the Italian Edison Company when it was reorganized later in the year as the Societa Generale Italiana di Elettricita Sistema Edison. As the company began to erect other central power stations in the second half of the decade, Lieb took on increasing technical responsibilities, supervising both the company's power plant business and its manufacturing facilities. During his years in Italy Lieb was an innovative leader of the electrical industry. The Milan station was among the first to install an alternating current distribution system in 1886, and in connection with this he conducted some of the earliest experiments with direct-driven alternators connected in parallel. The same year he also introduced the Thomson-Houston arc light system for street lighting in the city. In 1892-1893 Lieb directed the installation of Milan's first electric trolley line and one of the earliest in Italy. Lieb continued to maintain close ties to the United States and married Minnie F. Engler while visiting New York in 1886, with whom he had three children. In 1894 he returned permanently to the United States when he became assistant to R. R. Bowker, vice-president of the Edison Electric Illuminating Company of New York (later New York Edison). As general manager, and later vice president, Lieb was in charge of all the company's technical operations, including the installation and operation of its central stations and electrical distribution system and supervision of all research and development efforts. At the time of his death, Lieb was senior vice president of New York Edison and president of the Electrical Testing Laboratories, which he had helped to found. Lieb led an active professional life as a member and officer of several technical and scientific societies and congresses in the United States and Europe. He also served on many industry associations and public commissions related to the energy industry. He was president of the AIEE from 1904 to 1905. Honored for his work by both the Italian and French governments, Lieb also received the Edison Medal of the American Institute of Electrical Engineers in 1923 "For the development and operation of electric central stations for illumination and power." After becoming a member of the Raccolta Vinciana of Milan during his stay in Italy, Lieb retained a lifelong interest in Leonardo da Vinci, collecting a large library of Vinciana. Lieb died at his home in New Rochelle, New York, 1 November 1929. This page was last edited on 14 February 2019, at 16:03.